If Alice in Wonderland was rewritten by Roald Dahl and Edgar Allan Poe and made into a film by Tim Burton, the result would be much like Coraline (affiliate link). This film begins with a doll being taken to pieces by hands made of needles, and if that’s too creepy for you, then this film is going to be too much. Coraline is bored. She’s just moved to a dusty old house with her parents, who are too busy to pay her much attention. It doesn’t look like anyone’s idea of fun. But then she discovers a doorway into another world where everything is colorful and magical. Her parents are always happy and jolly ­­ and have shiny black buttons for eyes. Based on Neil Gaiman’s novella of the same name, this is possibly the creepiest children’s film ever made, a dark fairy tale that sends a shiver down your spine without actually terrifying you. It’s also funny, inventive and a beautiful stop­ animation, a style of film that’s rare in this age of CGI. Look out for the cherry trees with blossoms made of painted popcorn! 1. Would you like to travel to an alternative world? What things do you think would be better there? What things might be darker or scarier? Explain. 2. The film took longer to make than a CGI film would, as it takes such a long time to animate individual so many models. Do you think it pays off? Why or why not? 3. 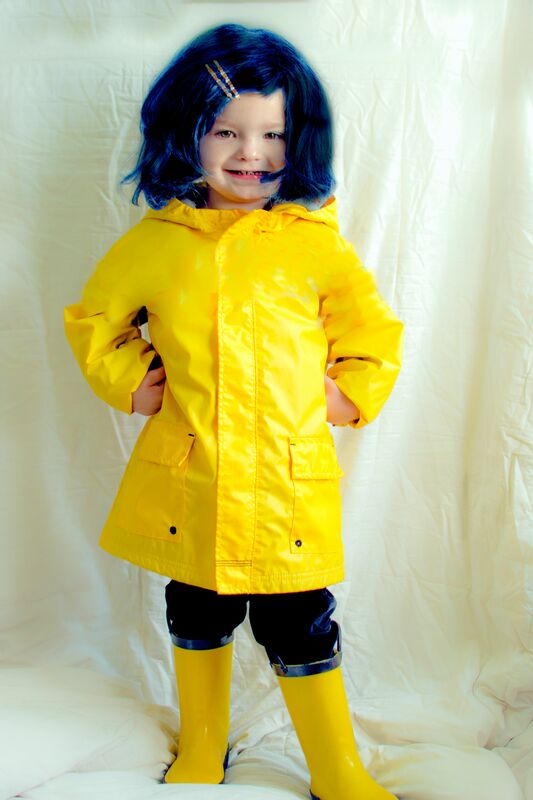 Coraline is offered what seems like a perfect life, if she has buttons sewn over her eyes. What would you give up in order to have the perfect life? 4. What do you think of scary stories? Do you enjoy being scared, or do you prefer light­hearted stories?